Get on the road to a stronger and healthier body with the Spirit XT485 Treadmill. Choosing the right piece of exercise equipment is an important investment in your health and should not be taken lightly. There are several keys areas that define a well designed treadmill. 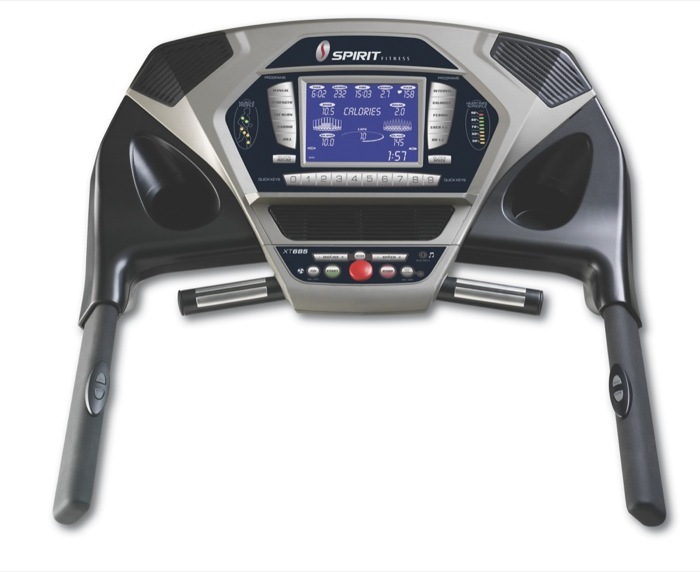 The Spirit XT485 Treadmill offers comfortable belts and cushioning systems, convenient storage and adjustments, generous features and programs, and eye catching aesthetics. Select the design elements you desire to create a product that will retain its value for years to come. 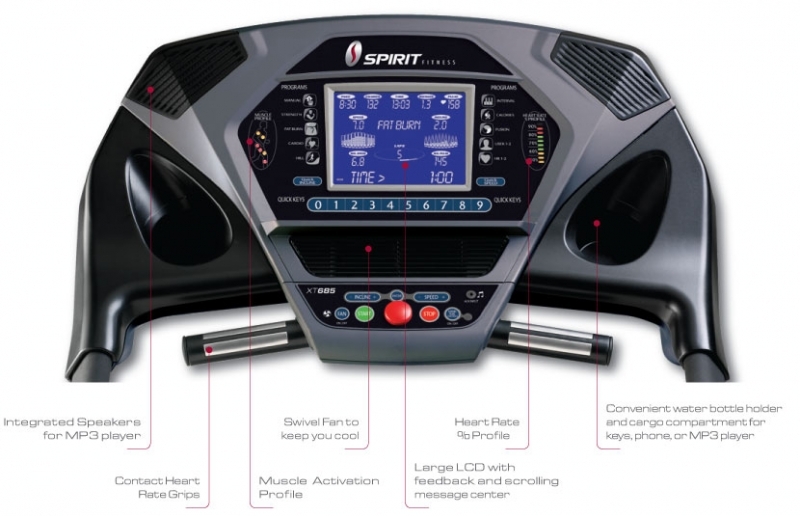 The features and performance of the Spirit XT485 Treadmill allows it to standout against its competitors. The Spirit XT485 Treadmill gives you the ability to quickly program a specific incline or speed with just a few key strikes. 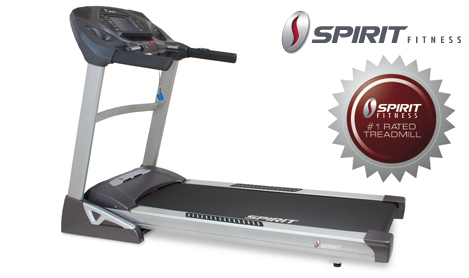 The Spirit XT485 Treadmill has the same options as the XT185, 285, and 385 plus 2 more programs. This model is very appealing to someone that is a walker or a runner. Get Smarter workouts and faster results as well as enhancing the enjoyment of your workout with quality training in the comfort of your own home with the Spirit XT485 Treadmill and get on the road to a great cardio workout. Call 1-800-875-9145 and chat with one of our knowledgable and friendly agents to learn more about the Spirit XT485 Treadmill. 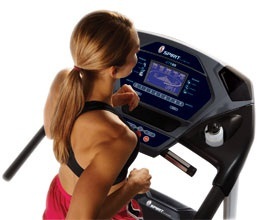 Order your Spirit XT485 Treadmill from FitnessZone.com today and take your workout to new heights! Its important to understand which muscle groups are gaining the most benefit during your workout. On our treadmills, you will be using your glute (bottom), hamstring (back of your thigh), quad (thigh), calf, pec and arm muscles. The LED lights will activate in three degrees of engagement: Green represents minimal involvement, Amber medium involvement, and Red, full or heavy involvement. Use this quick reference to challenge yourself during your workout. We have integrated into most of our consoles a set of audio speakers. Simply plug in your choice of MP3 player or cell phone (adapter cord provided) and you can enjoy your favorite music to keep you going the extra mile. 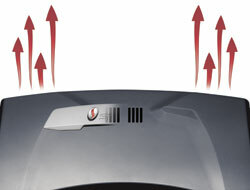 Weve also built a swivel fan into most of our consoles to keep you a little cooler. 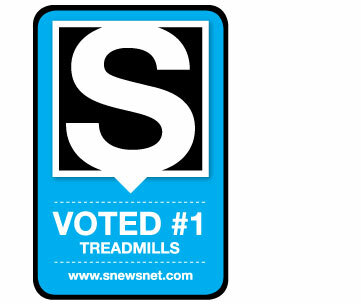 Most of our treadmills have multiple locations to adjust the speed and elevation. You can always adjust the speed and elevation on the console with the quick keys or with the + and  keys on the lower console. The speed can also to be adjusted with the + / - button located on the right handlebar. The left handlebar allows for the incline to be changed. There is even a button on the lower console that allows you to disable the buttons on the handlebars. It is important that you feel comfortable on your treadmill. 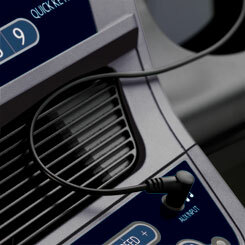 Allowing you to choose how you make the critical speed and elevation adjustments is just one of the features you will find on Spirit Fitness Treadmills. 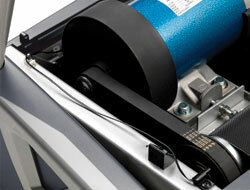 The Spirit XT485 Treadmill is easy to fold up and down for your workout. This feature gives you a full size treadmill for working out, but then folds into a tight compact space when not in use. Simply pull the yellow handle located on the back of the treadmill frame and the unit will unfold. To fold up, simply pick up the treadmill deck until it hinges at the top. You will notice that our assisted design makes this easy and convenient. 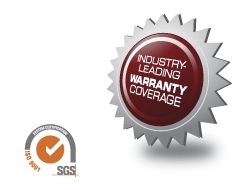 The Spirit XT485 has one of the best warranties in the industry because we have been building fitness products for over thirty years. All of that experience gives us the understanding of what happens to fitness products not just after two years or five years, but ten to fifteen to twenty years. We still hear from satisfied customers who have been using their Spirit Fitness products for decades. MUSCLE ACTIVATION Its important to understand which muscle groups are gaining the most benefit during your workout. On our treadmills, you will be using your glute (bottom), hamstring (back of your thigh), quad (thigh), calf, pec and arm muscles. QUICK KEYS The ability to quickly program a specific incline or speed with just a few key strikes. MP3 AUDIO JACK & SPEAKERS Plug your MP3, Smart phone, or digital tuner into this jack for music broadcasting. REMOTE ADJUSTMENT KEYS The user has the ability to adjust the incline on the left handlebar or the speed on the right handlebar. If you decide not to use them, simply press the Disable button on the console. This integrates cardiovascular, strength, and active rest intervals all into one program. The message center on the LCD screen prompts you when to perform each activity. If you are on a diet that counts calories, this program can really be beneficial. Simply enter the amount of calories you would like to burn and your max speed/ incline and the program will calculate the amount of time necessary to achieve this. Its important to understand which muscle groups are gaining the most benefit during your workout. 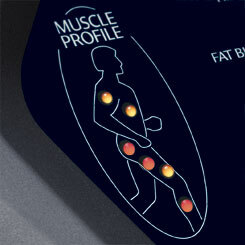 On Spirit XT485 Treadmill you will be using your glute (bottom), hamstring (back of your thigh), quad (thigh), calf, pec and arm muscles.